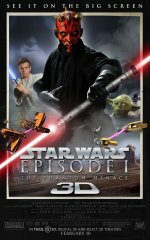 Star Wars: Episode III - Revenge of the Sith Movie The Saga is Complete. 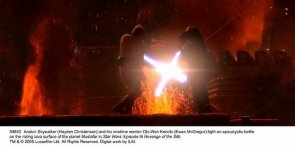 In "Star Wars: Episode III – Revenge of the Sith"—the final installment of the "Star Wars" saga—the Clone Wars rage as the rift widens between Chancellor Palpatine (Ian McDiarmid) and the Jedi Council. 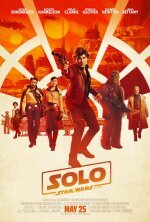 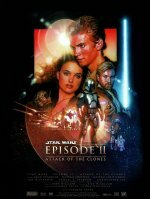 Anakin Skywalker (Hayden Christensen), the young Jedi Knight with an allegiance to Chancellor Palpatine, struggles to keep his marriage to Padme' Amidala (Natalie Portman) a secret amid the turmoil. 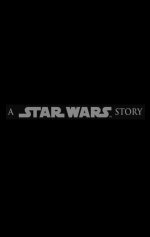 Seduced by promises of power and temptations of the dark side, he pledges himself to the evil Darth Sidious and becomes Darth Vader. 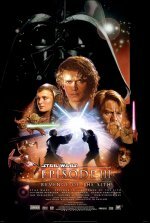 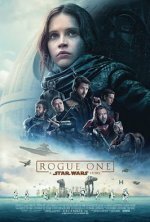 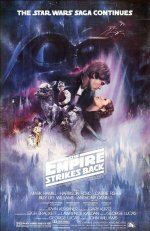 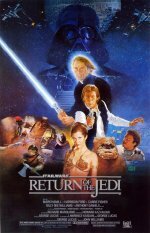 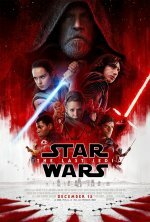 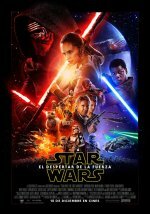 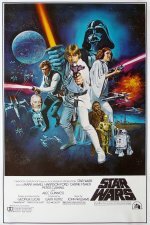 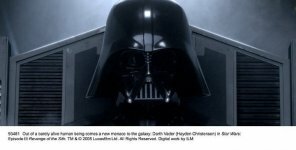 Together, Sidious and Vader set in motion a plot of revenge against the Jedi, leading to a climatic lightsaber battle between Vader and his former master, Obi-Wan Kenobi (Ewan McGregor), that will decide the fate of the galaxy.